California will require automakers to sell millions of “zero-emission” vehicles -- battery- electric, plug-in hybrid and hydrogen-powered -- setting new standards followed by states from New York to Oregon. The rules adopted by the California Air Resources Board mean manufacturers will have to produce about 1.4 million advanced vehicles for sale in that state alone by 2025, more than 40 times the number put on the road from 1996 through 2010, according to a state analysis. The regulations have implications for the broader automotive market because 10 other states, including New York and New Jersey, plan to adopt the standards. Earlier rulings by the California board led to the addition of catalytic converters and exhaust-treatment systems as standard equipment on all cars sold in the U.S.
“Today’s vote to adopt the package of clean-cars standards represents a new chapter in California and the nation,” said Mary Nichols, the chairwoman of the board, which has pushed carmakers since the 1970s to sell cleaner vehicles to reduce air pollution. The board’s vote came after two days of hearings in Los Angeles. Starting in 2018, the requirements that now apply to the six largest carmakers, all from the U.S. and Japan, will widen to the top 12, to include German and Korean companies. Failure to meet the standards could bring fines and, at the extreme, limits on sales in the state. Others that will adopt the requirements are Connecticut, Maine, Maryland, Massachusetts, New Mexico, Rhode Island and Vermont, said Roland Hwang, transportation program director for the Natural Resources Defense Council. That will at least double the impact of California’s program, to sales of more than 3 million advanced vehicles nationwide, he said. “We believe that’s a very reasonable total by 2025,” Hwang said. California accounted for 9.7 percent of U.S. new-vehicle registrations in 2010, according to the National Association of Automotive Dealers. Collectively, the 11 states accounted for 28.5 percent of the 11.4 million new registrations that year, association data show. Automakers that reduce their overall greenhouse-gas emissions in the U.S. will receive credits for four years, beginning in 2017, exempting them from some of the zero-emission vehicle requirements. They must beat their greenhouse-gas targets by a “significant” amount to qualify, Nichols said in a conference call with reporters. The new rules also require oil companies to install hydrogen supply pumps at existing gasoline stations to power fuel-cell cars. Each hydrogen pump may cost between $1 million and $2 million, according to the air board. Companies affected by the new rule include BP Plc, Chevron Corp., Tesoro Corp., ConocoPhillips, Valero Energy Corp., Royal Dutch Shell Plc and Exxon Mobil Corp. The requirement may lead to a court fight with the oil companies, said Cathy Reheis-Boyd, president of the Western States Petroleum Association, a trade group whose members include those that would have to comply with the new rules. “We strongly oppose the clean fuels outlet requirement,” Reheis-Boyd told the regulatory board yesterday. Adoption of California’s new rules comes as the state and the U.S. Environmental Protection Agency match regulations for carbon exhaust and other pollutants. The Obama administration last year announced plans to double so-called Corporate Average Fuel Economy, or CAFE, standards to 54.5 miles per gallon by 2025, the biggest increase in U.S. history. California’s program and efforts to regulate carbon exhaust triggered lawsuits by automakers and dealers in the last decade. To meet the new fuel-efficiency standard, automakers were already planning to boost sales of advanced vehicles, said Gloria Bergquist, a spokeswoman for the Alliance of Automobile Manufacturers, the industry’s biggest trade group. California’s rules force companies only to offer certain types of vehicles, not for people to buy them, she said. Electric cars may not sell in large numbers if there aren’t enough public charging stations, Bergquist said. “Once government determines that society should move to diversify powertrains, that triggers a legitimate role, and even an obligation, for government to invest in supporting infrastructure, like making charging stations widely available,” she said. Currently, General Motors Co., Ford Motor Co., Chrysler Group LLC, Toyota Motor Corp. Nissan Motor Co. and Honda Motor Co. must sell a combined 60,000 plug-in, battery-electric and fuel-cell cars in the state from this model year through 2014. 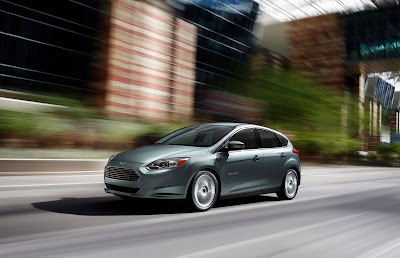 Ford is introducing a line of electric vehicles such as the 2012 Focus Electric, said Sara Rudy, the Dearborn, Michigan- based automaker’s emissions regulatory manager. “However, the market acceptance of these vehicles is very uncertain,” she told the Air Resources Board yesterday. By 2018, the state’s rules will extend to Korea’s Hyundai Motor Co. and Kia Motors Corp., Germany’s Daimler AG, Volkswagen AG and Bayerische Motoren Werke AG, and Japan’s Mazda Motor Corp.